Manhattan, United States - January 14, 2019 /MarketersMedia/ — Freezing conventional bakery products to preserve the same till the time they are consumed are called as frozen bakery products. Frozen bakery products can be kept fresh for long period. They offer maintenance of freshness and flavor of the food item. Many frozen bakery products such as frozen pizza crust, frozen breads, frozen cakes bread, frozen pastries and frozen patisserie are widely demanded. Storage of frozen bakery products at a proper temperature is necessary to ensure safety and to reduce wastage. By Product, Frozen Cakes and Pastries segment is anticipated to have significant growth during forecast period. Increase in exports and imports of frozen cakes & pastries from leading regions, such as North America and Europe, are the factors behind its constantly rising market share in other parts of the world. Further, specialty cakes & pastries with low-protein wheat and high starch-gluten ratio are gaining massive acceptance, and are likely to add commendable market revenue. Grupo Bimbo S.A.B. de C.V., Nestlé SA, Conagra Brands, Inc, Aryzta AG, Vandemoortele NV, Campbell Soup Co, Lantmannen Unibake International, General Mills Inc, Tyson, Kellogg Company, Flowers Foods Inc, Associated British Foods plc, Europastry, S.A, Harry-Brot GmbH, Agrofert as, Kuchenmeister GmbH, Kobeya, Bridgford Foods Corporation, Custom Foods, Inc., Maple Leaf Foods, Inc., Pepperidge Farm, Premier Foods PLC and Maple Leaf Foods, Inc. 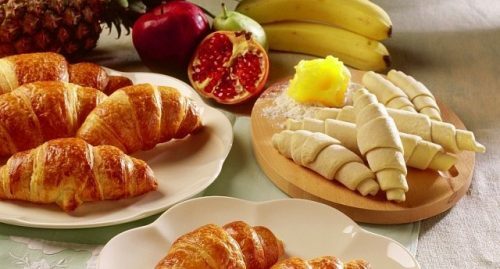 The Frozen Bakery Products market which has been valued at an estimated cost of $15.21 billion at the end of 2017 is projected to make huge leaps in terms of growth as experts and industry pundits claim that the Frozen Bakery Products market is touted to clock a high CAGR if 9.5% for the forecast period of 2017 - 2026. The research experts at Analytical Research Cognizance who have released the new report on the global Frozen Bakery Products market have analyzed some numbers and speculated that at the end of 2026, the Frozen Bakery Products market is expected to reach the value of $34.52 billion which is in line with the CAGR calculated and estimated. By Geography, Asia-Pacific is expected to show growth potential in the market owing to emerging economies, increasing disposable income, the remarkable influence of Western culture growing in the standard of living among the population. In addition, China, in particular, is the largest country to hold the maximum share in the market due to the rapid urbanization and changing consumption pattern of consumers in this country. http://www.arcognizance.com is an initiation in this new era of “analysis @ thought.” We are on a mission to replace the conventional research programs and give way to the latest methods and information for the organizations. We have created this hub of analytical research papers where you can get an access to the latest and the best research papers coming out from some reliable and budding research houses. After the advent of “new analytics"based on the data collection facilities of big data, the face of "business research facilities" has changed drastically. With ARC our experts have created a bookshelf where you can check out the research reports that are an outcome of the progression of knowledge in various industry sectors. Alongside you can also check some research papers, market reports, and forecasts that are talking about the "out of the box"developments in the market.